Sydney Shop Girl: Lemon Juice and Lemonade Cake. I've been struggling with a cold for the last couple of days and have been missing my get up and go terribly. Honey and lemon for the time poor just flip the lids and squeeze. These squeezy bottles of honey and lemon juice have been my constant companions. I've been sipping at mugs of hot water spiked with honey and lemon all day at work in a bid to keep my voice going. For the record, that Coles 99% Lemon Juice is the goods. My throat has held up and my voice has survived the talkfests that have been the last couple of days. The lemon juice is also lovely drizzled over salad. I reckon lemon juice is just about due for its time in the sun as the superfood of the moment. Toddler SSG hosting afternoon tea in Perth last week and I thought that it would be nice to bake a cake for the event. I don't know which side of the fence you sit on when it comes to cake mix doctoring, but I am a huge fan of the concept when I'm pushed for time and need to come up with a cake that's guaranteed to rise perfectly. 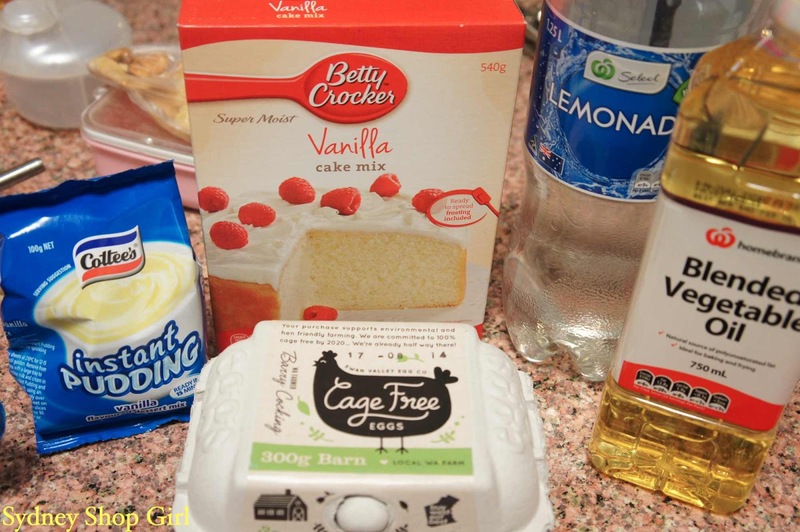 I found this recipe for Sprite / lemonade cake and was able to whip it up in almost no time at all. Simply place a packet of vanilla cake mix, a bag of vanilla pudding mix, 4 eggs, 1 cup of lemonade and 3/4 cup of vegetable oil into a mixing bowl while keeping one eye on your toddler who will be either clinging to your legs or emptying the kitchen cupboards. If he's trying to do both simultaneously, abandon the baking project and go out for a coffee instead. Beat ingredients together on low to combine then on medium for two minutes. 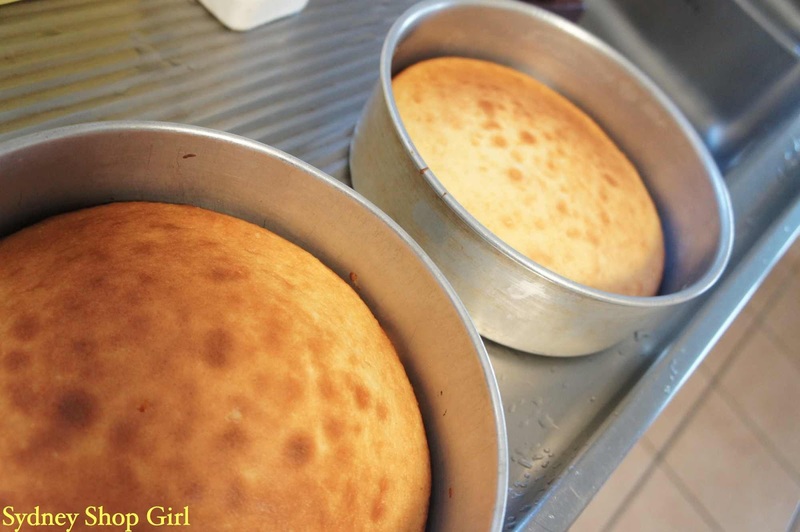 Then bake at 180C for 25 minutes in two greased and lined 9 inch / 20 cm cake tins. Cool before removing from tins and frosting. 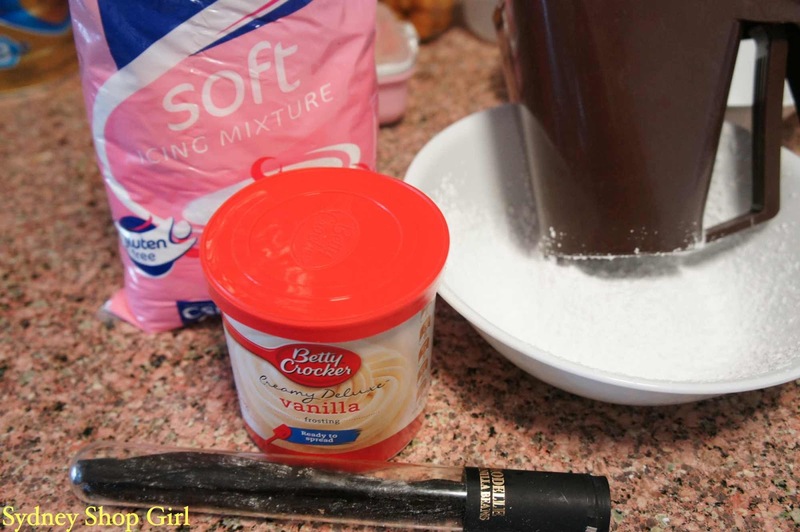 The rules of cake mix doctoring are that it's fine to bake a cake mix based cake but when it comes to the icing and frosting, made from scratch is the way to go. However, if you're going to use pre made frosting then you can doctor this as well. 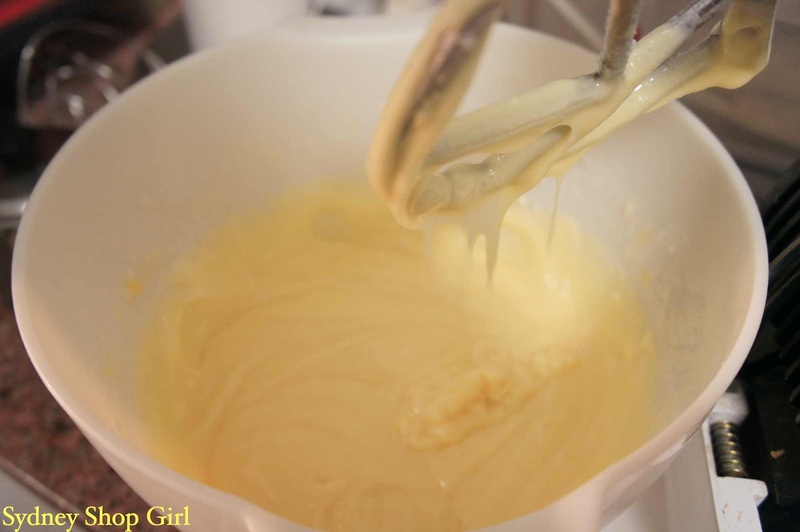 There are lots of ideas out there on the net including mixing the frosting with cream cheese, butter or icing sugar. I ended up beating my tub of Betty Crocker with 1/4 cup of sifted icing sugar and a scraped down vanilla pod (you can use vanilla essence too). The icing sugar gives the frosting an easier to spread consistency and the flecks of vanilla made my frosting look a little fancy. However, the rule was right. Store bought frosting is best reserved for desperate times. 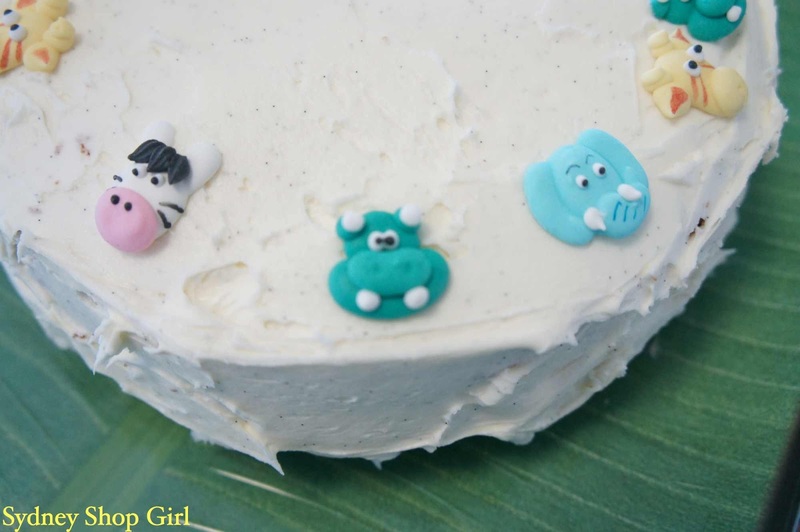 I topped the cake with these zoo themed icing sugar toppers. 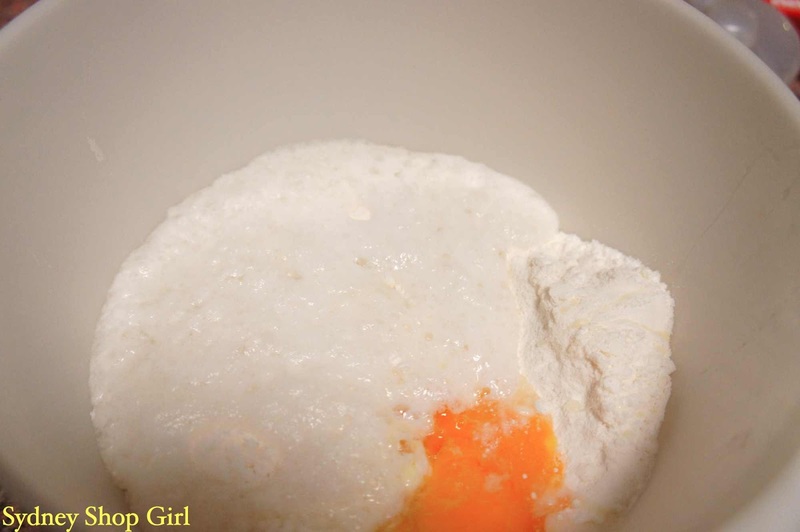 The cake itself had a light yet dense texture and was very moist. The lemonade gave it a zingy taste. It's the perfect party cake. The next time I bake this cake, I'm definitely going to make the frosting from scratch. Our host slept through the savouries. But awoke just in time for the cake. His favourite part of the cake? The icing sugar hippo that made his lips as blue as the sleeves of his new Hoot pyjamas. 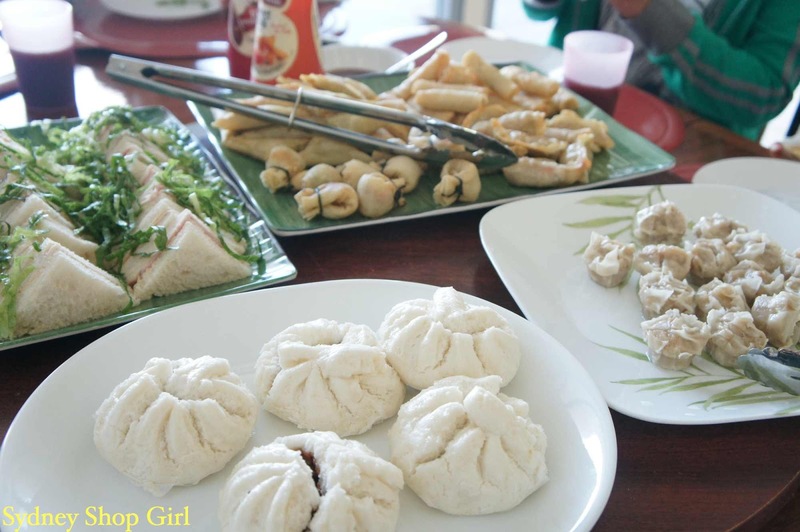 Toddler SSG knows a good party spread! Sorry to hear you have a cold! Hope you are back to 100% again soon. Ah, did the travels and tantrums do you in? They will, you know. However, cute pajama boys can be remarkably restorative:). Never thought of jazzing up a packet mix cake before. Hope you feel better soon.